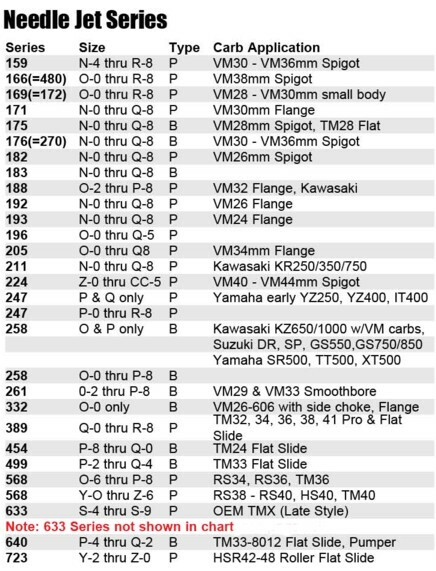 The table of orifice diameters below is Mikuni published data. It's INCORRECT. These sizes are not particularly relevant until you decide to ream a smaller size to a larger size. 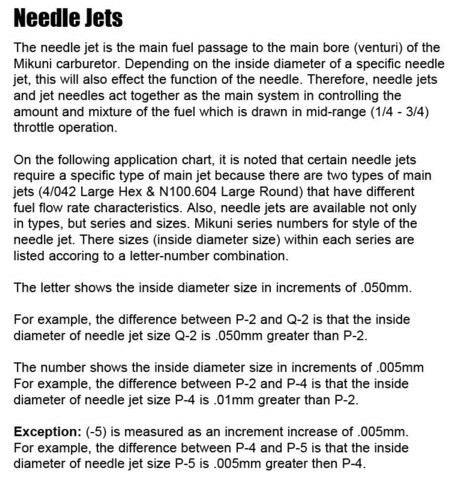 If you go by this table, you will end up with a needle jet approx 3 sizes richer than the one you're aiming for. 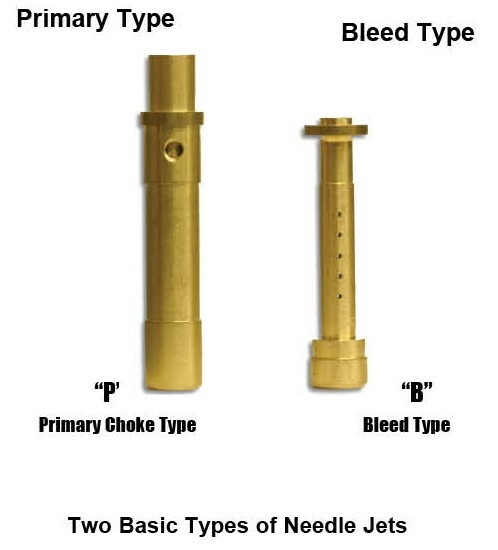 We've taken accurate measurements of new genuine needle jets which are on average 3 sizes weaker than the published sizes below.